APA members can comment on draft policy guides on equity, housing, and surface transportation. The draft guides, which were created by APA members and approved by APA’s Legislative and Policy Committee, represent the collective thinking of association members nationwide on key planning issues. Developed for policymakers, APA policy guides propose policy recommendations that aim to create just, healthy, and prosperous communities that expand opportunity for all. APA policy guides also inform our annual policy agenda and set the course for our advocacy work on federal, state, and local issues. Nominations are open for the Great Place in America, County Planning Division Awards, and Transportation Planning Excellence Awards. Nominate your community or project today! Not Too Late to Help Support Planning in 2019! January 7, 2019 / APAPA-SE / Comments Off on Not Too Late to Help Support Planning in 2019! It’s not too late to support planning in 2019 by sponsoring APA PA SE! The work and programs by the Southeast Section of the Pennsylvania Chapter of the American Planning Association aren’t possible without the support of our sponsors. 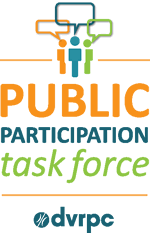 provide a forum to discuss and learn about timely issues, assist the Commission in implementing public outreach strategies, and to empower citizens to be a part of the planning process. For more details about the PPTF, visit http://www.dvrpc.org/Committees/PPTF/ . /PPTFApplication/. If you have any questions, please contact Shoshana Akins, Public Participation Planner, at 215-238-2817 or sakins@dvrpc.org. Curious but want to know more? Interested citizens are invited to attend the PPTF meeting on December 13th from 6:00-7:30 PM with dinner for all attendees at 5:30 PM. Come network with current members and learn more about how the PPTF works. To RSVP, please email public_affairs@dvrpc.org by December 12th. Queer Urbanist Exchange (QUE) is invites you to join our monthly meet up at Tabu (200 South 12th Street, Philadelphia, PA) at 5:30 pm on Monday Dec. 17, 2018. We’ll try to bring a rainbow flag for easy spotting, but we’re pretty noticeable.